The global insoluble dietary fibers market is prophesied to gain momentum in its growth journey as consumers become increasingly aware about maintaining their health and obtaining nutritional benefits. 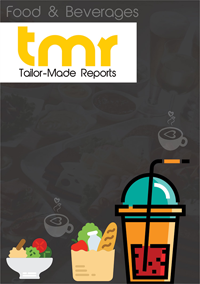 Furthermore, swelling demand for functional foods could up market growth in the coming years. Until the end of 2025, demand in the market is expected to increase on the back of rising incidence of diabetes, cholesterol problems, gastrointestinal issues, obesity, coronary heart disease, and other health issues. However, synthetic dietary fiber supplements gradually attaining demand could create problems for the market. Nonetheless, the global insoluble dietary fibers market is foreseen to offer rewarding prospects as players involve themselves in research and development activities for using the fibers in the treatment of high cholesterol, cardiovascular issues, digestive problems, diabetes, and obesity. Additionally, demand for insoluble dietary fibers is envisaged to see a rise as a result of the introduction of technological developments and promising government policies. Improving standards of living and telling rise of dietetic population could further increase the demand in the market. The global insoluble dietary fibers market is envisioned to witness Asia Pacific growing at a faster rate in the next few years. Substantial investments directed toward research and development by leading companies of the market could be one of the primary factors supporting the growth of the regional market. North America is forecasted to tread upon the heels of Asia Pacific with rising demand for dietary and health supplements. Players are envisioned to gain superior positioning in the market and expect a high degree of industry rivalry as top participants focus on expanding their production capabilities and tactical mergers and acquisitions. A lucrative market scenario could be created in the near future as production and grinding patents increase in number. The global insoluble dietary fibers market is foreseen to gain impetus with high awareness in North American countries and extensive availability of cellulose on the commercial level. In 2016, hemicellulose treading upon the heels of cellulose was also said to showcase its prominence in the market by earning high growth. In the recent years, insoluble dietary fibers have become increasingly diversified. Nutraceuticals products fortified with dietary fibers have been commonly used of late due to factors such as busy lifestyles and aggressive growth in urbanization. The world insoluble dietary fibers market is predicted to find lucrative prospects taking birth on the back of various applications such as pet food, animal feed, pharmaceutical, and functional food and beverages. The rising demand for fiber-fortified food and beverages from consumers could work in the favor of the functional food and beverages industry expected to secure a king’s share of the market. Companies operating in the market may mostly prefer cereals and grains as a go-to source of insoluble dietary fibers. This could be because a higher yield of insoluble dietary fibers extracted from whole grains and cereals and wheat bran flaunting greater content of these fibers. On April 9, 2018, DowDuPont publicized its plan to invest nearly a US$100 mn in a series over the next couple of years. This would be for modernizing its facilities and expanding its manufacturing capacity at the Orange County Sabine River Works (SRW) plant. For further supporting market growth, the company is assessing longer-term plans to invest in a new facility. The international insoluble dietary fibers market could see a classification into different regions of the world. However, there are a couple of regions anticipated to attract stronger shares in the coming years. The market is predicted to witness the faster growth of Asia Pacific owing to improved awareness about the attractive health benefits of insoluble dietary fibers. In North America, Canada and the U.S. are envisioned to draw a larger demand for insoluble dietary fibers, thus helping the region to take the driver’s seat of the market in the foreseeable future. Geographically diversified companies and those focusing on innovation are projected to lead the international insoluble dietary fibers market for the next few years. Such companies could also lay high emphasis on taking advantage of various end-user segments and different requirements of the market to broaden their portfolios and make their presence known in the industry. The market includes top players such as E. I. du Pont de Nemours and Company, Roquette Frères, and Cargill.